School's out for spring break, and you're looking for ways to keep the kids busy -- and have a little fun. Look no further than Centennial Park District! We've rounded up a few ideas of how to make it an epic week off. 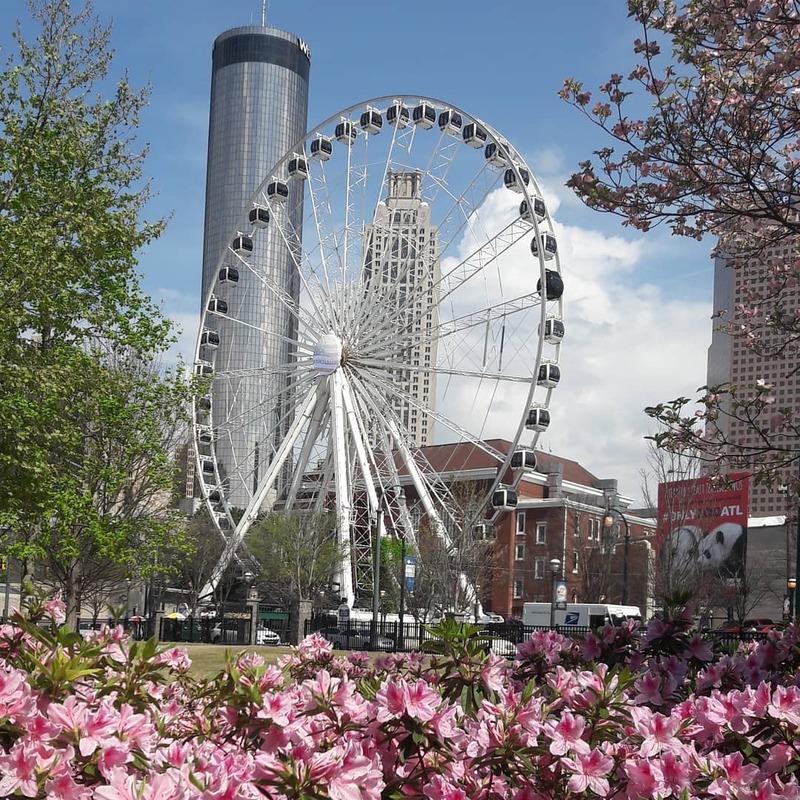 Just in time for Super Bowl LIII, Centennial Olympic Park underwent a strategic renovation that may just make you do a double take. Enjoy a springtime stroll through the park, and don't miss a chance to snap a picture with the new Spectacular, aka the statue of the iconic Olympic rings. Enjoy an afternoon under the sea and experience the wonder of Georgia Aquarium's galleries, shows, and animal encounters. We love their special experiences like the Behind the Seas tour, too! Head to Taste It! inside the World of Coca-Cola to experience the brand's beverages from around the world. Try the Fanta Melon Frosty and let us know what you think. Throw like a QB on the College Football Hall of Fame's indoor playing field. Run, jump, and fly at Children's Museum of Atlanta. Pair a lunchtime break with classic arcade games at Game-X. Go behind the scenes of the 24 hour news cycle at CNN Studio Tours. You may think you know Atlanta, but you never know what you'll learn on a guided tour led by a local expert. Hop on a Segway or in an electric car with ATL-Cruzers to rediscover Downtown. Where better to understand the historic fight for civil rights and the ongoing battle for human rights globally? You will leave the National Center for Civil and Human Rights inspired, challenged, and invigorated. Why have regular ice cream when you can have Sub-Zero Nitrogen Ice Cream? Customize your treat and watch the liquid nitrogen technique in action. Older kids like to have fun, too. A live show at one of Atlanta's most iconic venues oughta do the trick. Make a weekend of it and book a romantic and relaxing staycation at one of our many hotels that offers easy access to the neighborhood and luxurious home-away-from-home amenities.